Let the Games inspire you to get more active. Walking is a great way to get fit– a 30 minutes walk will help you feel better– mentally and physically. 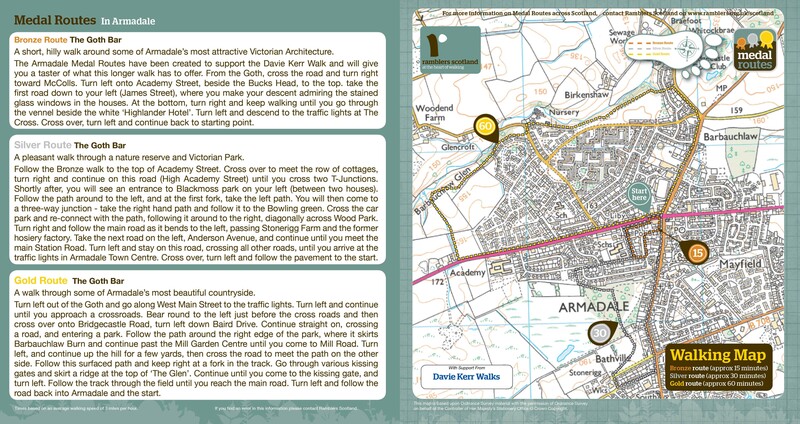 The Bronze Route takes approximately 15 minutes and takes you around some of Armadale's most attractive Victorian Architecture via a short and hilly route. The Silver Route takes about 30 minutes and takes you through a nature reserve as well as a Victorian Park.